The city of Georgetown began as a small town in the 18th century. Originally, the capital of the Demerara-Essequibo colony was located on Borselen Island in the Demerara River under the administration of the Dutch. However, when the colony was captured by the British in 1781, Lieutenant-Colonel Robert Kingston chose the mouth of the Demerara River for the establishment of a town which was situated between Plns. Werk-en-rust and Vlissengen. It was the French who developed this town and made it their capital city when they captured the colony in 1782. The French called the capital La Nouvelle Ville. When the town was restored to the Dutch in 1784, it was renamed Stabroek after Nicolaas Geelvinck, Lord of Stabroek, and President of the Dutch West India Company. Dutch, French and British, and now American, Chinese and Russian. 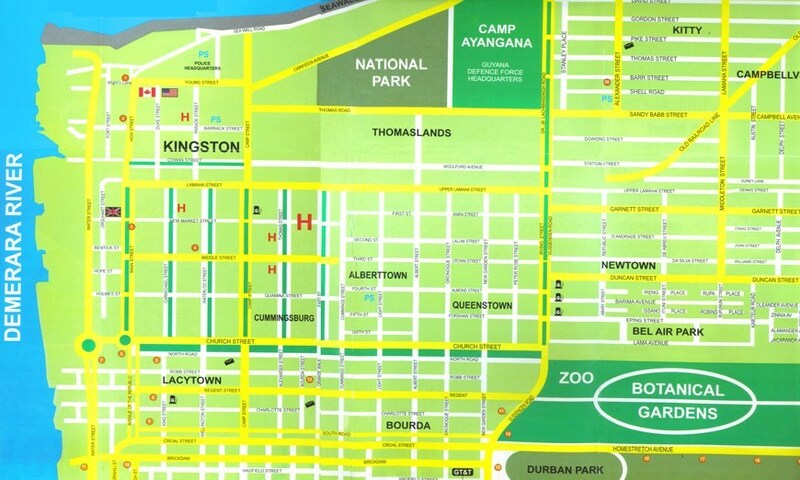 NOTHING ON ALBOUYSTOWN THE BEST TOWN IN GUYANA. pushing it a lil bit? Albouystown?